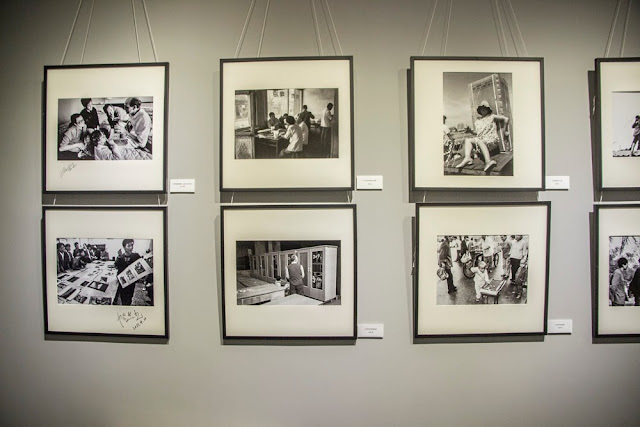 Imagine seeing an exhibition about photographers and their activities as individuals and within groups such as PhotoForum, or another photographic society in New Zealand. 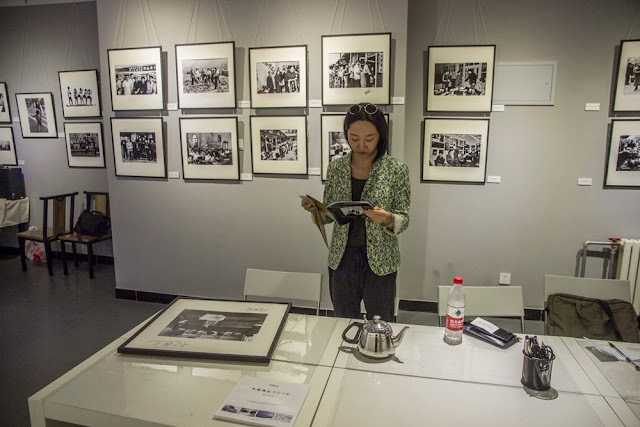 It was something of a surprise, and delight, to see an exhibition of framed but unglassed photographs of Chinese photographers associated with Xie Hailong, the famous photographer and director of China's Hope project. One of the most inspiring documentary photography projects in the world, the hope project, by showing Xie's photographs of poverty stricken children in remote areas without schools, helped raise awareness and the money to rectify their problems and educate the kids and their families. 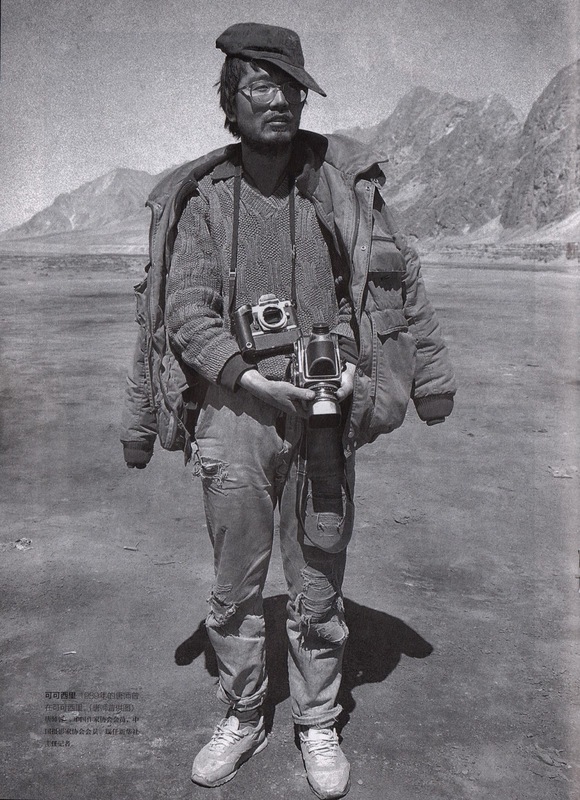 His photo essays are, in a sense, the equivalent of what Sir Edmund Hillary and his coworkers achieved in Nepal; what the Farm Security Administration during the great depression in the United States did in the 1930s, with the work of Walker Evans, Dorothea Lange, Arthur Rothstein and other talented photographers in Roy Stryker's team. It is also similar to the outcome of W Eugene Smith's great 'Nurse Midwife' Life essay that raised consciences and money to build medical facilities in a poor area of the US south. Xie Hailong is something of a legend in mainland China. He holds, as so many of China's senior photographers do, numerous government-sponsored positions of influence. Recently retired, he started his own art gallery, the Dragon Gallery, in 2006. It is located in Gaobeidianxi, east Beijing, which is a one and a half hour train ride from where I live in Changping District in the north. 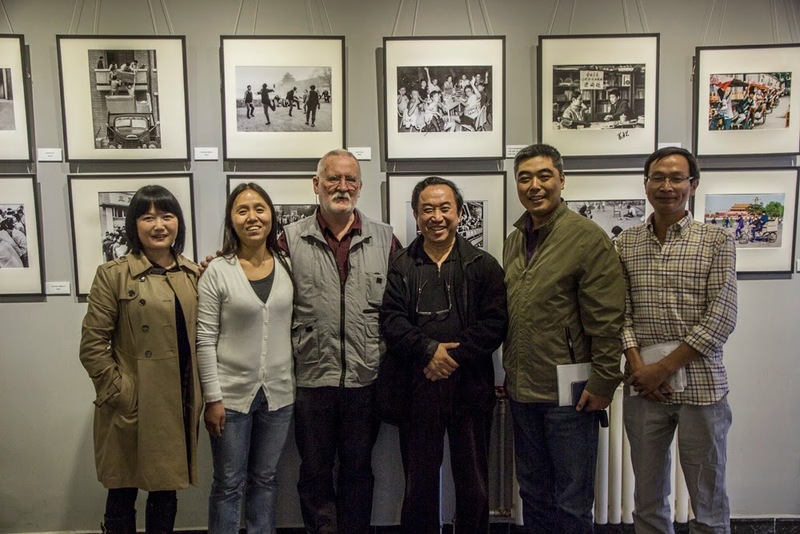 He initiated a meeting through Zoe Zhang, and with my wife, Liu Jianguang, we met him, curator Mrs Li Jianjun, publisher Liu Feng, and saw the current exhibition in the one room gallery on 15 October 2013. 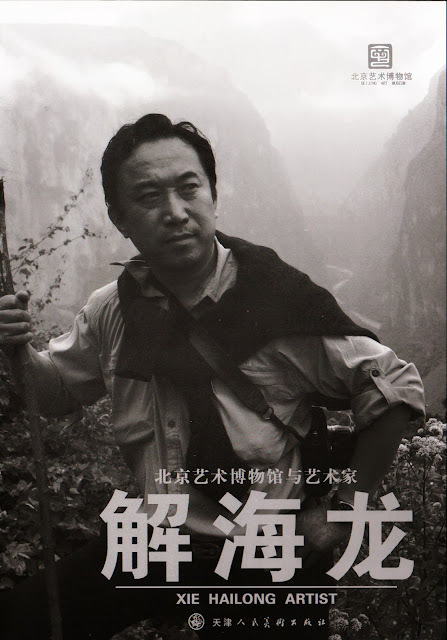 The art scene here seems very hierarchical, which might explain why the catalogue of his exhibition at the Beijing Art Museum, Xie Hailong Artist, starts off, after a romantic cover picture of the photographer, staff in hand, posing during a tramping high above a misty mountainous valley. This Pilgrim's Progress kind of image is followed on the small title page with a list of his public positions and awards, in an ugly type face and design. 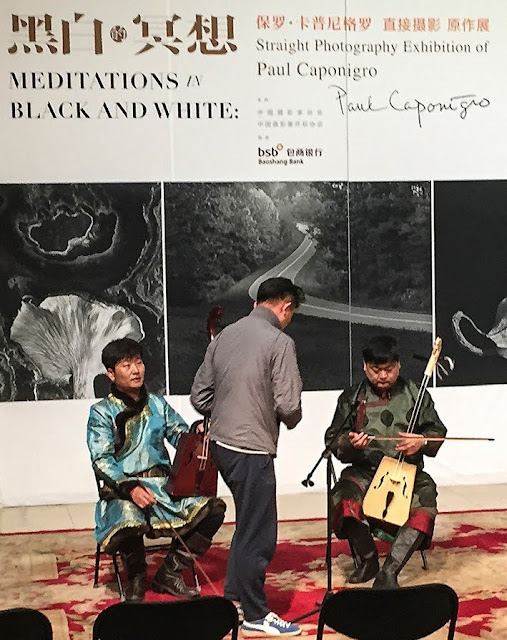 He is, for example, Vice Secretary-General of the Chinese Photographers Association, and Director General of the Images Copyright Society of China, as well as being on the Council of the Soong Ching Ling Foundation. (She was the widow of Sun Yat Sen, the acknowledged founder of the Republic of China, and a friend of Rewi Alley's, on the side of Mao Zedong's Communist Party. While her sister, Soong Mei-Ling, was the wife of Mao's arch rival, Generalissimo Chiang Kai-shek.) Mr Xie is also an honorary councilor of the Police Literature and Arts Association of China, and Vice Chairman of the Beijing Photographic Fine Art Association. He has won many awards for his photography and his activism for improving education for the poor. Seeing his gallery took me back to the Snaps Gallery period when PhotoForum was getting started in the mid 1970s. Dragon Gallery is nothing posh like some of the dealer galleries in the 798 Art District that are financed by wealthy backers. Although they looked flimsy, the lack of glass protecting the prints made them easy to see, but the heavy string holding the frames was a little distracting at first glimpse. The wall labels were in Chinese, of course, but I could read the dates and ascertain that the pictures paralleled the development of PhotoForum's education based activities of that period and earlier which encouraged the formation of galleries, collaborative exhibitions, workshops and publications. I don't yet know what their circulation is, but Liu Feng, the publisher of Energy Outlook magazine, (which carried a memorable cover graphic of an iceberg in the shape of a question mark), included a 26x18 cm 16-page booket of the best work from Xie Hailong's exhibition. 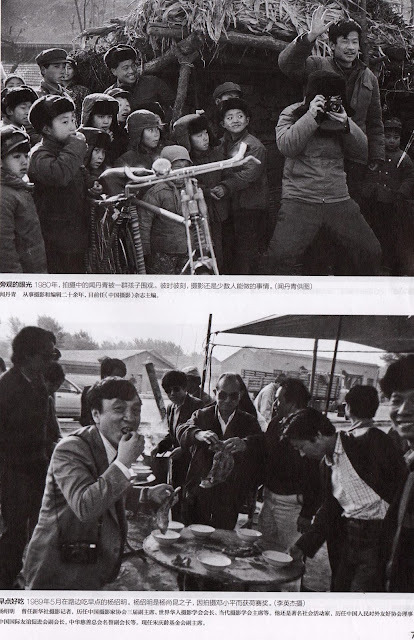 It started with an image of a woman photographing from a train and culminated with a delightful image from 1994 showing Xie and his fellow photographers at the China Youth newspaper office listening in to their sole female workmate who sits cross-legged on a sofa with the telephone to her ear and a pomegranate to her right. 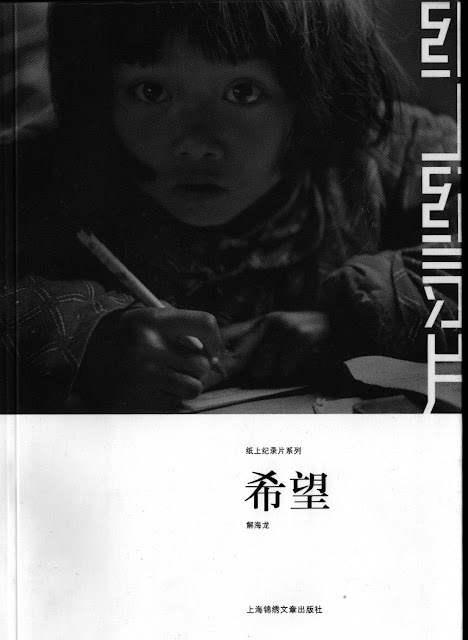 The whole booklet, and exhibition thus sings the praise of a small number of Chinese photographers working since 1977. One image on show depicted a foreign photographer in a class-like situation but I didn't recognise him. Nobody in the group that met me could tell who he was, but offered to find out if I really wanted to know. The prints on display were nothing fancy. They all seemed to be recent digital copies of silver prints, or scans from negatives,and they had that harsh contrast which is a hallmark of newspaper prints made to counter the softening effect of the 60-lines per inch half-tone screen and ink absorbing newsprint. Not pretty. But these could have been printed with more sensitivity, and, in fact, they look better, generally, as reproductions in the small publication. This reminded me that New Zealand's independent photographers, in the late 1960s and early 1970s had to be shown by people like John Fields and myself how to make a print that expressed their feelings, as well as provide optical evidence of what they saw. And that this fine print approach was a hallmark of US photography, as pointed out by Nancy Newhall, rather than for Europeans like Brassai and Bill Brandt for whom the content of the image itself was supposed to carry all of the message. Which is why they "spotted" their glossy prints with felt tip pens and shocked budding purists like myself at the time. It is, however, hard to believe that people who love fine photographs would purchase these Chinese prints for their enjoyment. We did not have time to talk to them about these issues because they had another appointment, but I am curious about the history and success or otherwise of independent galleries like this, which is operated by Xie's company, Beijing Leo Visual Culture Communication, named after his zodiac sign. I couldn't but muse about the hundreds of shows and events with New Zealand photographers, or overseas visitors, in the days before digital photography, where I was usually the only one with a camera, or the only one bothered to take installation or "crowd" scenes. 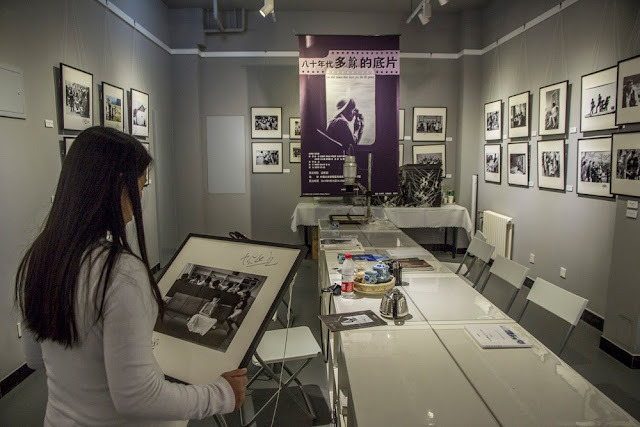 Maybe a NZ-China visual comparison, showing the personalities and varied activities of PhotoForum, for example, alongside such records of the meetings of Chinese photographer's associations, would be of interest. Certainly, background research for the PhotoForum at 40 celebrations reveal the value of such images. But my observations of the Beijing scene could be shallow, and I feel the need to know a great deal more about the way serious photography is treated in this vast country, province by province. Beijing prides itself as the cultural capital, but it is not as advanced as Shanghai or Guanzhou, it seems, when it comes to honoring and exhibiting its best photographers through exemplary exhibitions and publications. Xie kindly gave me copies of three of his books, including the (literally) heavy weight large format volume from the series produced by the China Photographic Publishing House: Photographic report of China Hope Project (2007). I had bought other books from this series from Fang Hua's New Zealand Chinese Bookshop in Auckland's Dominion Road, but have found that few bookshops in China carry them, despite their bi-lingual texts. Xie's photography is outstanding, and reminds me of the late Terry O'Connor's heartfelt, elegant vision. The book, with a high production values, costs RMB380 ($NZ75) and is clearly made for the art market. By contrast, his book of pretty much the same work, in a vertical instead of square format, was produced for the general, non-specialist market and retails for RMB32 ($NZ6.50). It is a small book on cheap uncoated paper, with Chinese text only. It suffers from pedestrian design and the pictures are dulled down because neither the designer nor printer apparently knew how to get richer and more sympathetic tonal contrast from the paper stock. In between, is the nicely printed but over-designed catalogue produced by the Beijing Art Museum, mentioned above. 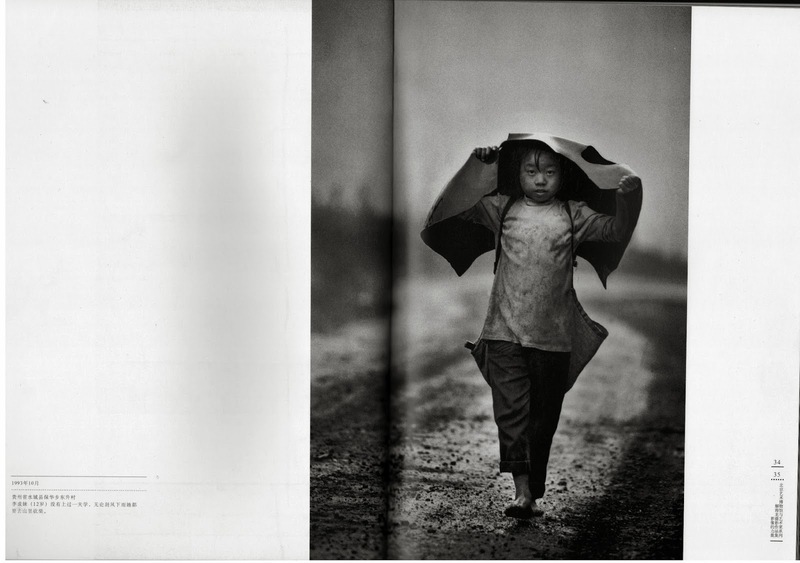 The decision to toss Xie's celebrated 1993 image of a young girl walking in the rain, into the book's gutter, was stupid, because it undermines the photographer's art and his intention to gain empathy with the child, with this inexcusable side show. The price, at RMB 80 ($NZ16) is fine, but museums should be producing books of far more sympathetic and sophisticated design, with comparable production values. Mr Xie, curator Mrs Li Jianjun, and publisher Liu Feng all wanted to see some of Tom Hutchins' work from China in 1956, before they left for another meeting, and their response was spontaneously favorable when they saw some on my web site. 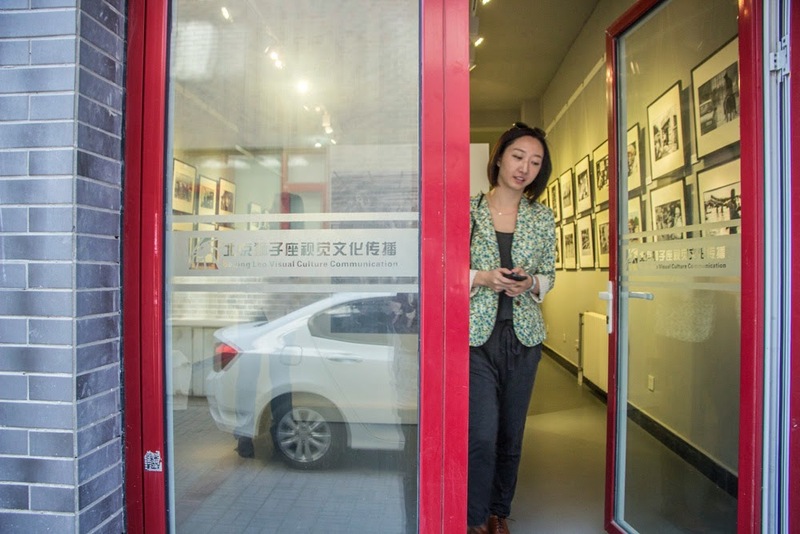 So much so, in fact, that they asked if his work, which was blocked from exhibition and publication here in China by his trustees for fear that it would be pirated, could be taken up as a key example for the Images Copyright Society of China to investigate. I'm certainly listening, and will continue my efforts to have Tom's work shown here, which was the source and subject of the hard-won and most important assignment of his journalistic career. Tom's own fear of censorship of his photographs by the Chinese government is part and parcel of the kind of issues that need to be resolved, in favour of the photographer as independent eye witness, if the histories of China are to be accurately recorded and respected. We shall see. My fingers are crossed.